Exciting announcement! Have you seen Brad Paisley, Chris Lane & Riley Green live before? Well now is your chance! 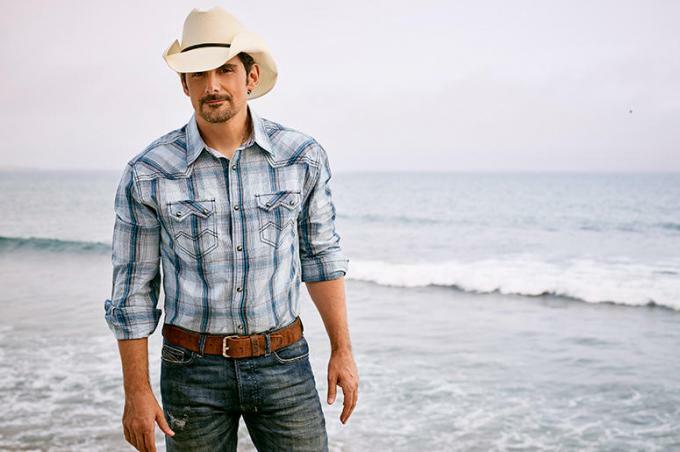 Brad Paisley, one of Country's biggest stars is hitting the road and is coming to Xfinity Center on Saturday 27th July 2019! And along with the incredible performer, comes an all round line-up for this summer night so be sure to book your tickets as they are bound to sell out! This is going to be an incredible event so grab your friends and be sure to bring them along too! Brad Paisley is one of Country's biggest stars with his "Top 5" hit, "Another You", as well as sharing song writing credits with David Ball’s single “Watching My Baby Not Come Back. Brad begun his career in the right way and then moved on to solo star fame. His 1999 recording artist debut album ‘Who Needs Pictures’ was certified platinum in 2001. And his success didn't stop there, in 2009, he set a record of having the most most consecutive singles and reached a whopping 12 million units sold, to this day it's still rolling. Seeing Brad Paisley live in concert is a wild and entertaining experience of roaring crowds, singing along to every word. Get ready for the night of your life! There's nothing like seeing your favourite artist take to the stage – Brad Paisley's 2019 tour is shaping up to be a big one – make sure you are there!